Do you want to learn more about the reasons why homeschooling is bad? Although I am a big believer in the benefits of home education, I also believe there are some situations under which parents should not homeschool. 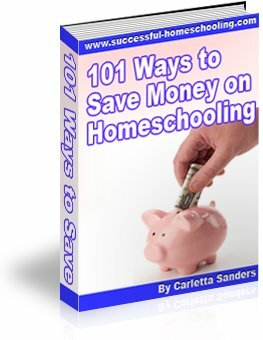 Homeschooling requires a loving, supportive environment, and parents who are dedicated to the success of the child. Parents lack the time or energy to educate their children. - Homeschooling requires parents to spend time and resources teaching their children, and this responsibility should not be taken lightly. Although there are many effective teaching methods that do not resemble anything that occurs in public schools, even successful relaxed homeschoolers and unschoolers must spend time instructing their children. Parents who lack the time and energy to homeschool should make use of self-teaching resources, co-ops, support groups, university model schools, community colleges or private tutors to supplement their children's academic instruction. Parents are not committed to their children's social development. - Although most concerns about socialization are unfounded, home educators do have to make sure their children are learning the social skills they will need to thrive when they leave home. Children need to learn basic manners, teamwork, and respect for others. They also need to learn how to face and overcome challenging situations outside of the home. The good news is, these skills can be taught during the course of daily life. Here is some additional information about homeschooling and socialization. Parents cannot ensure adequate supervision. - Although single parents, working parents and parents who have health challenges can effectively home educate, they must make sure they can provide their children with adequate supervision. Children who are not old enough to stay home alone should be supervised by a responsible older party. Children who are mature enough to handle the responsibility of being alone should be given clear guidelines for behavior and receive instruction in proper safety procedures. Although there are some situations in which homeschooling can be challenging, I believe most loving, non abusive parents can overcome these obstacles and successfully teach their children. Follow this link to find additional information about homeschooling pros and cons.